If you are holding an event in Yorkshire of any kind, private parties, weddings, corporate events or a university ball, and you are looking for fairground rides to hire, then let us know your precise requirements and we can tailor a package to meet your needs. •Candy Floss and other mobile catering units. In short we have the ability to provide any type of ride or attraction, from the latest white knuckle thrill ride to a traditional coconut shie. Having our head office in Yorkshire means we can provide an efficient and cost effective service throughout the region, if you are unsure of the site being suitable then we can call and survey the area you have and make suggestion on what will or wont be possible. 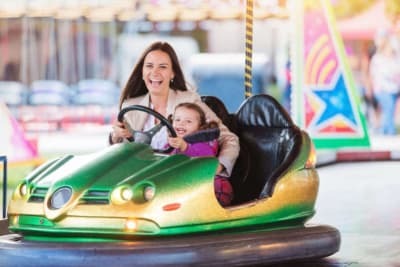 There are 2 basic types of dodgems available in the Yorkshire region. These are the newest rides available, with state of the art sound and lighting systems, dodgem cars with lights and sound effects, and highly decorated airbrush artwork. Being trailer mounted they can be erected and dismantled far quicker than the traditional rides. The drawbacks are the fact that they need suitable access to be driven into position, and also tend to be slightly larger than the older type tracks. These are the original type ride, not as ornate or upto date as their continental cousins, they nevertheless offer the same great fun ride. The big advantage is the fact that they dismantle entirely, this opens up the possibility of being carried into venues that the newer type just cant manage. We are based in the village of Upton, West Yorkshire, this is midway between Doncaster and Wakefield. This allows us to cover the entire Yorkshire region quickly and efficiently to provide a first class service, with a range of different tracks. 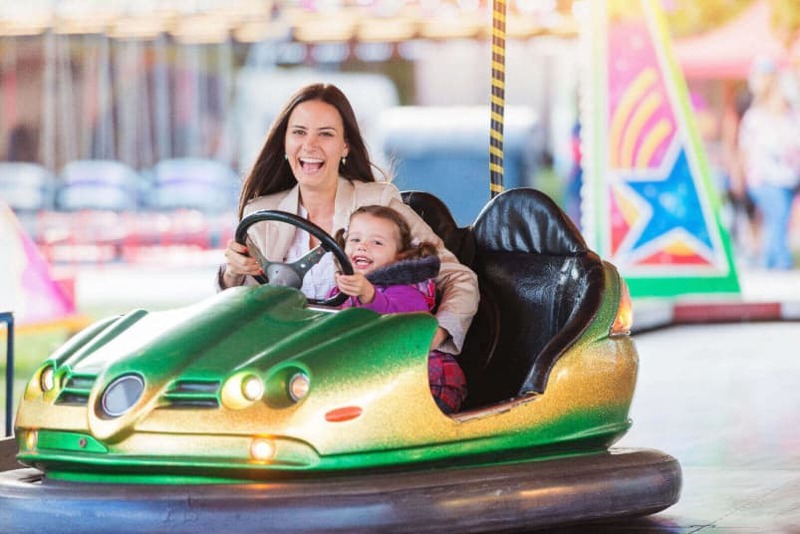 We offer a range of dodgems tracks for hire throughout the Yorkshire region, including Leeds, Bradford, Sheffield, Hull, Harrogate, Halifax, Doncaster, Wakefield. For weddings, parties, balls, military events, corporate events and private parties. Hire bumper cars for any event.